cooking52 Week 14: Pannekoek. The Afrikaans word for pancake... Loved by South Africans and often sold at fundraisers, church bazaars or eaten on rainy days. Much like a crepe or Dutch baby. Traditionally they are rolled and sprinkled with a mixture of sugar/cinnamon and then a squeeze of lemon. 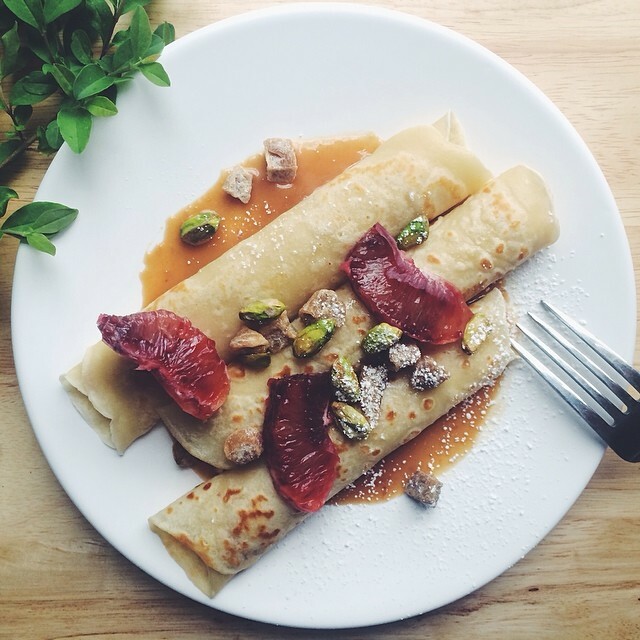 I've served mine with homemade caramel, blood orange wedges, pistachios, dried figs and powdered sugar.